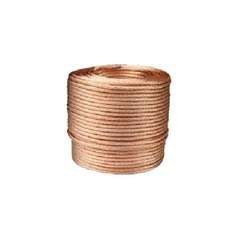 Our product range includes a wide range of hard copper stranded wire rope, bare copper stranded wire, copper stranded rope, bare tin stranded copper rope, braided stranded copper wire and copper braided flexible. 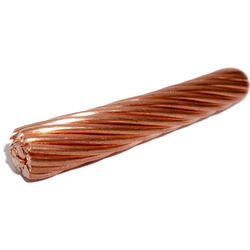 Being a customer oriented organization we are engaged in offering a quality approved the range of Hard Copper Stranded Wire in the market. Our offered wire is insulated to ensure optimum safety and precisely designed for extra high voltage to suit the today’s growing power demand of power-starved metro cities. Offered range of products is made under the supervision of highly skilled professionals as per the set industrial parameters at our vendor's end. We are one of the trusted names in the market to offer a highly durable range of Bare Copper Stranded Wire. 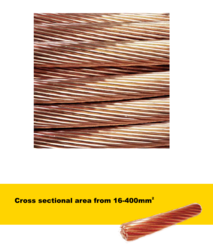 Our provided copper wire is a form of electrical wire used when maximum mechanical flexibility is desired. To maintain industry defined quality parameters, these products are manufactured from quality proven components and cutting-edge technology at our vendor's end. We ensure to deliver fully tested products at leading market price within promised time frame. The Copper Stranded Rope offered by us are made from the quality material using advanced technology. These stranded ropes are flexible and can be designed depending upon clients' application needs and budgetary requirements. Our range of stranded ropes are manufactured in compliance with the industry standards and are available at the most competitive prices. 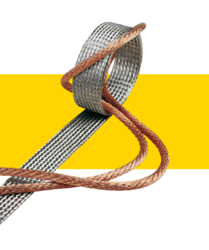 The Stranded Copper Rope Bare Tin offered by us are made from the quality material using advanced technology. These stranded ropes are flexible and can be designed depending upon clients' application needs and budgetary requirements. 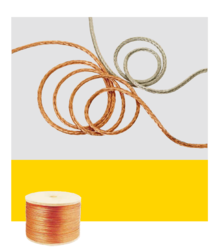 Our range of stranded ropes are manufactured in compliance with the industry standards and are available at the most competitive prices. After a detail market study, we are into offering a wide array of Braided Stranded Copper Wire. Offered wires are compensating for expansion, vibration, and contractions. Also, this Multi Strand Copper Wire is made up of high-grade material and advanced technology that makes it perfect in finish and highly reliable at the same time. Known as a reputed organization, we are engaged in offering an exquisite range of Copper Braided Flexible connector to meet the demands of our customers. This Copper Braided Flexible Connector is easy to fix. The Copper Braided Flexible Connector we offer is rust free and can withstand harsh working conditions. Moreover, we offer our range at affordable rates. 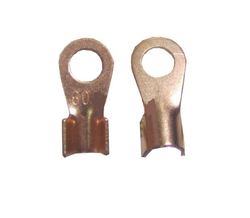 We are involved in manufacturing a wide spectrum of Copper Connectors so that caters the various industrial requirements. The connectors are highly acclaimed by the industrial customers for various applications. 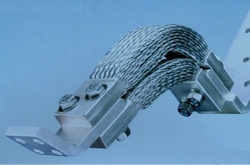 Copper flexible connectors manufactured by us in accordance with industrial quality standards. As a leading copper flexible connectors manufacturers, it has been precisely prepared by the skilled workforce using the high-tech process which ensures its longer functionality.